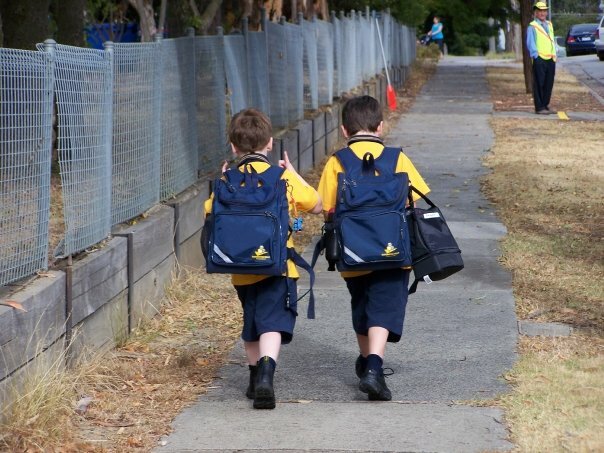 There seems to be a lot of information available for parents about the big transitions that children face at the start of the school year, such as starting Primary or Secondary school. But for many children already at school, starting the new school year in a new grade with a new teacher is an equally big event, and one that we can help to prepare them for. With the end of the school year fast approaching, it is a good time to think about how to help your child get ready for the changes that come with moving up a grade in school. Get familiar with the rooms and teachers. While it is unlikely that the school will know exactly who your child will have as a teacher and what room they will be in before the very end of the school year, most schools have classrooms dedicated to specific year levels and regular teachers that teach those grades. Ask your child’s current teacher to provide opportunities for your child to visit higher grades in informal ways, such as running errands or participating in joint class activities, so they have a chance to get to know the classrooms and teachers and will hopefully feel more familiar with the staff and surroundings when it’s time to move up a grade. Talk to your child about changes that are going to occur in their new grade and reassure them that there will be a lot of similarities to their current year level. Talk about what to expect. Many teachers start to talk to their classes about expectations for the year ahead to try and motivate children to work harder or behave better. However, this can result in increased anxiety and unrealistic expectations of the workload. Statements like “you will be in Grade 6 next year, so you need to start setting an example for the younger students,’ or ‘the work is going to be harder in Grade 3 so you need to pay attention,” can make going up a year level feel like a huge jump in responsibility and work that many children don’t feel ready for. Talk to your child about changes that are going to occur in their new grade and reassure them that there will be a lot of similarities to their current year level. For example, teachers are not going to give students really hard work at the beginning of a new grade, they will start where their students finished the year before and slowly build on their skills and knowledge. This will help your child have a more realistic and less scary picture of what the year ahead will look like. Help your child learn to embrace change. It is usual for children to be uncertain about the changes that moving up a grade will bring. Concerns about whether they will have friends in their class, or if their teacher will be nice, are common, and may lead to anxiety and a reluctance to attend school or challenging behavior at home. To help reduce their uncertainty, encourage your child to think about the good things that moving up a grade will bring, and support them to reflect on situations where they have experienced change in a positive way (e.g. new clothes, birthdays, holidays, etc.). It is also important to let your child know that it is normal to be a bit nervous or uncertain about change, but you will be there to help them work things out and they will be alright. Preparing your child for their transition to a new grade will help to make the move a more positive one not just for your child, but for your family as a whole.